Brandwell is a game changing brand workshop for you and your business. Led by top creatives, this intimate + immersive workshop will help you brand and capture your business through hands-on strategy, design, content, and business planning. A Brandwell Workshop will give you all that you need to see your business as a cohesive and professional brand for fraction of the valued cost. Through the time we spend together, we’ll work together to create or refine your branding so it truly reflects who you are and what you do. After attending, you’ll leave with a clear vision of your brand, how to share it, and what to do next without the overwhelm since you'll have a lot of it already done + planned! 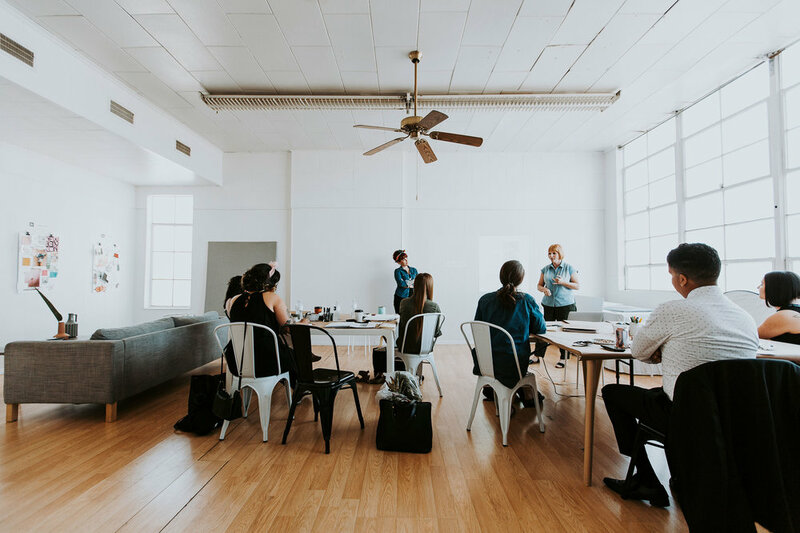 Attendance to a Brandwell Workshop also allows you to join our ongoing mastermind of business owners where we meet often to connect, advise, and help each other in the journey of business ownership. Using my 7+ years designing and marketing for a corporate Fortune 500 company, I stepped out on my own to start Purveyor House, a branding + marketing firm. Through starting my own business and brand, I'm able to help fellow business owners design and craft their brands so they're authentic and recognizable. I’m the creator of Oleander and Palm, a successful design and lifestyle blog. I create online lifestyle content from concept to social promotion for both my brand and for my freelance clients. As a stylist, photographer, and influencer, I know what images attract engagement and grow an online business.